Make the most of the summer weekends by getting a good night’s sleep when you are camping. Firstly, start with your kit. Some people find a foam sleeping mat more than adequate. Personally, for me, that's not enough padding and I know I'll have sore hips in the morning. I'm a big fan of inflating mats such as the Vango Aero Standard. It's made of a lightweight material so it only weighs 0.72kg. If weight is key, consider a three quarter mat such as the Vango Aero Short. At only 0.49kg, this will keep the heat in your torso overnight, but saves you 0.23kg in weight compared to the standard length mat. 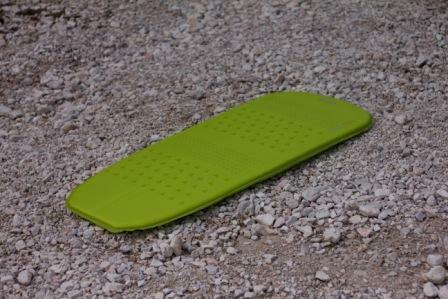 A comfortable mat will protect you from minute lumps and bumps in the ground, help you retain body warmth and will help you avoid the dreaded achy hips issue. If you're car camping and having a comfortable night's sleep is priority, have a look at the range of Vango Comfort mats. These luxurious mats come in a variety of sizes, including a double sized mat for couples. Once you've got your mat sorted, then think about your sleeping bag. I tend to sleep cold so even in the summer I prefer a three season sleeping bag. However, at the other end of the spectrum, if you run on the warm side, waking up too hot and having to wrestle out of your sleeping bag in the middle of the night is equally not conducive to a good night's sleep! Obviously, we'd all love a range of sleeping bags to accommodate a range of temperatures, but budgets need to be considered. A way round this is to look for a two or three season sleeping bag and consider investing in a sleeping bag liner to go with it. This not only adds a few degrees’ warmth to your bag, but has the added advantage of being easy to wash and keeps it as fresh as a daisy! Silk liners add the most warmth, but I prefer a polyester liner, it feels much more snuggly at night. Base layers are ideal. Clothing worn during the day can be carrying moisture, which can cause heat loss from your body. 2. Don’t wear too much clothing. Sweat will cool leading to heat loss and also condensation in the tent. 3. Don’t go to bed cold. Sleeping bags work by holding the heat that radiates from your body. If you are feeling cold when you get into your sleeping bag, it will take a long time for the bag to warm up. Try going for a brisk walk before getting ready for bed. Make sure that you don’t go to sleep hungry. Your belly is your boiler! Keep it fuelled! A snack before bed will help you stay warm through the night. One other piece of kit to help you sleep well is your pillow. 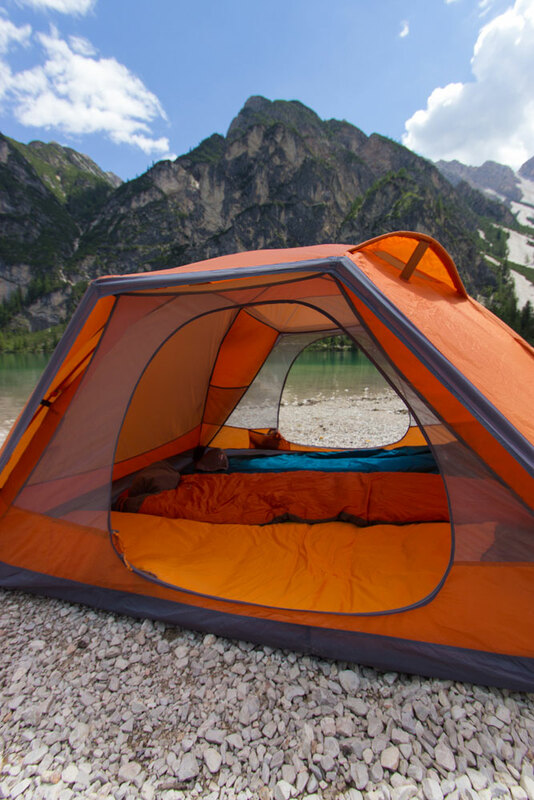 This may seem a luxury on a camping trip but Vango have a fantastic range of fold away and inflating pillows which take up less room than you may think. After a certain point, bundling your trousers and socks up to make a pillow becomes less appealing and having a decent pillow with you will certainly help you avoid a stiff neck in the morning. The Vango Pillow Half Moon has a lovely soft fleecy outer and weighs only 270g in its stuff sack so it's easy to find room for it in your rucksack. If space is at a premium, consider something like the Vango Self Inflating Pillow. 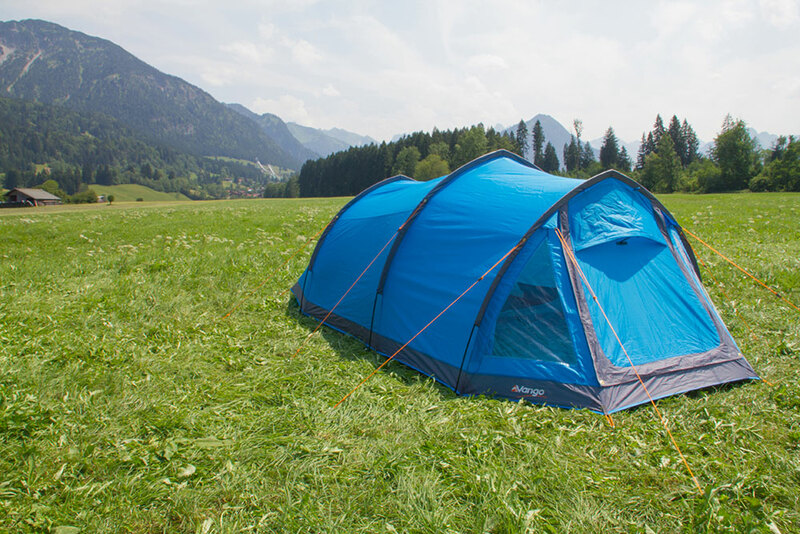 Before heading out on a camping trip, think about trying your gear out in the garden. You can test what nightwear works for you, whether you will need extra layers or some thick socks if you struggle with cold feet. It's best to find out beforehand and pack accordingly so you don't have to worry on your camping trip. Lastly, don't forget the basics. Before you pitch your tent, make sure you've chosen a really good camping spot. Look for soft grass and check all round for rocks, holes and sticks that could seem too small to worry about but will really make themselves feel known at 2am. If you're caught out on a camping trip by unexpected cold weather, here's a couple of tips to help you get through the night in comfort; if you're carrying a survival blanket (which you should be if you're hiking), use it under your sleeping mat. It'll reduce the amount of heat lost to the ground and reflect your body heat back at you and help keep you warm. Another method is to boil some water and place inside a waterproof flask, wrap it in a fleece and cuddle it all night, just like a traditional hot water bottle! If you’re a light sleeper, consider taking ear plugs or using headphones to reduce noise and a Buff pulled over your eyes to keep out the light. These items have their place on the campsite and also when wild camping; early bird neighbours can be very early and very noisy birds! If you nail these elements, you can relax when planning a camping trip, knowing you'll finish your weekend chilled out and well rested, ready for the week ahead.